Even small nuclear devices can devastate a city. Nuclear weapons are considered weapons of mass destruction, and their use and control has been a major aspect of international policy since their debut. Effects of Nuclear Attack on Freight Transportation Systems: Interactions and Comparisons Among Modes [54 pages, 2.85MB] – The operations and equipment used in transferring vehicle loads between two vehicles or between a vehicle and a terminal are examined for seven different classes of cargo. For each of these classes, the usual method of load transfer is discussed, and expedient methods that could be used in a postattack situation are suggested. St. Louis, Missouri is used to illustrate the problem of moving cargo through a damaged area after a nuclear attack. Several alternative methods of moving cargo via multiple transportation modes are analyzed, and a simple procedure for determining the minimum-time route among the alternatives is proposed. The transportation resources required to deliver the minimum supplies for survivor support in the St. Louis area are analyzed for different mixes of trains and trucks and for movements of the supplies over a range of distances. A general summary of the vulnerability of each transportation mode to nuclear attack is provided, and the remedial actions that might be taken in the preattack period to enhance postattack capability are discussed. Emissions from Reactions in Nuclear Weapons, 29 June 1963 [ 87 Pages, 2.30MB ] – This paper treats the emissions from the reactions occurring in nuclear weapons, specifically the neutrons and electrons emitted during the course of a nuclear explosion. Federal Response to a Domestic Nuclear Attack (Counterproliferation Papers, Future Warfare Series, Number 46)[36 pages, 300 KB] – The United States government needs to plan for and prepare against terrorist attacks. Terrorism, when combined with weapons of mass destruction, increases the planning complexity. 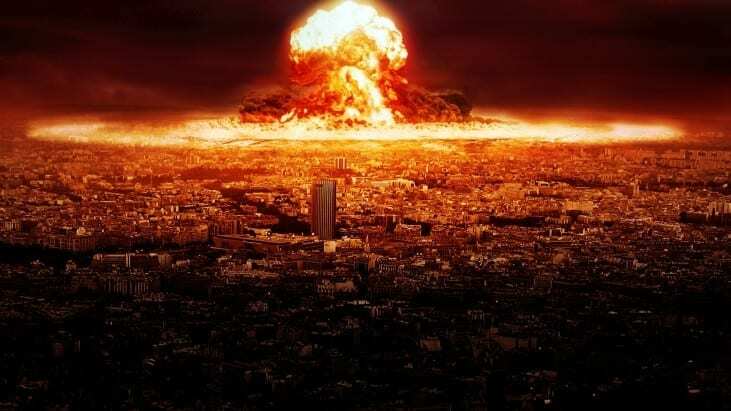 In the event of a nuclear terrorist attack, the government will need to conduct consequence management in the affected areas, govern the non-affected areas, and prevent future attacks. This paper examines what actions, following a nuclear terrorist attack on domestic soil, produce the broadest and deepest results and what options the President has to address such a national emergency. The federal government must address the national effects caused by the attack itself as well as the anticipated results caused by communities enacting protective measures at the detriment of their neighbors. To produce the list of coordinated actions and options, this paper uses a scenario where a terrorist loads a 10-kiloton (kt) weapon into a truck, drives it to the nation’s capital, and detonates it. After detonation, the government must attempt to mitigate the weapon’s real and perceived effects. A review of the mitigating responses reveals that some actions are nearly impossible without prior planning and coordination. Additionally, the government must operate within a framework of constitutionally granted authorities. Continuity of government is assumed sufficient to exercise command and control and is beyond the scope of this paper. It is also beyond the scope of this paper to present more than a cursory overview of preventing a subsequent attack. Fireball Yields [31 Pages] – This document took just about 11 years to obtain! The original request was filed in December of 1996, and the document finally arrived in November of 2007. The Local Environment Resulting from a Massive Nuclear Attack on Whiteman Air Force Base, 1980 [54 Pages, 2.02MB] – The study examines the potential blast and fallout damage that would be sustained by the 15 counties surrounding the Whiteman Air Force Base in Missouri following a nuclear attack against the associated Minuteman missile silos. The study also provides recommendations concerning the shelters that would be required to protect the population of these 15 counties from blast effects and heavy fallout. The study was performed in consonance with the new emphasis that FEMA (Federal Emergency Management Agency) is giving to nuclear civil protection in counterforce areas. It is intended to be a prototype for analyses of areas containing other U.S. counterforce targets, notably the other five Minuteman wings, the Titan missiles, the Strategic Air Command bases, and the strategic submarine bases. Medical Consequences of Nuclear Warfare [122 Pages] – The dramatic technological, social, and economic progress of the twentieth century has yet toprevent the use of armed conflict to resolve political differences among nations. As those of usin military medicine prepare to support our forces into the next century, we must continually beready for the many challenges presented by modern warfare. the post-attack U.S. economy. This evaluation was derived from a large volume of related literature. A selected annotated bibliography of over 100 entries follows a state-of-the-art assessment. Personnel Casualty Study, July 1968 [318 Pages, 11.3MB] – This investigation has resulted in the development of a computer code (SEP – Shelter Evaluation Program) which predicts casualties of personnel when subjected to the initial effects of a nuclear weapon. Conditions for both sheltered and unsheltered personnel were considered. Available casualty data were analyzed and functional relationships between casualty and appropriate weapon effects were approximated. Analytic models relating the weapon effects to these casualty functions were also developed for SEP Code. A validation of the code was performed using existing Hiroshima data. Finally, results are presented for a range of construction and weapon parameters to illustrate how SEP Code may be easily utilized to study shelter effectiveness in terms of added survivors. Report of the Defense Science Board Task Force on Preventing and Defending Against Clandestine Nuclear Attack[59 Pages, 1.1MB] – The DSB addressed this threat in previous studies conducted in 1997 (also chaired by Richard Wagner) and 1999/2000 (chaired by Roger Hagengruber). Much has changed since then. The 11 Sept. 2001 attacks demonstrated the intent of terrorists to inflict massive damage. Nuclear proliferation has proceeded apace, with North Korea and Iran achieving nuclear weapon capability or coming closer to it, and it could spread further. The United States is engaged in a war against terrorism, and DoD is beginning to devote significant effort to combating WMD. The Department of Homeland Security (DHS) has been established. Thinking about the threat of clandestine nuclear attack has changed, and some efforts to explore defenses have begun. However, one thing has not changed: little has actually been done against the threat of clandestine nuclear attack. The DSB Summer Study on Transnational Threats (1997) first developed the ambitious idea of a very large, multi-element, global, layered civil/military system of systems of scope sufficient to have some prospect of effectively thwarting this threat. There was little resonance with this vision (outside of the Task Forces in 1997 and 2000), but since then, and especially since the attacks of 11 Sept. 2001, it has begun to be discussed more widely. This report will revisit such a national/global system, largely as context for the main focus of the Task Force: DoD’s roles and capabilities. Following briefings from many government agencies and subject matter experts, the Task Force arrived at its basic findings and recommendations in early 2003. Since then, those results have been discussed in over 40 meetings within DoD and elsewhere, leading to certain refinements. This report reflects the outcomes of that process and weaves together viewgraphs used in the discussions with elaborating text. Vulnerabilities of Social Structures: Studies of Social Dimensions of Nuclear Attack [768 Pages, 39.1 MB] – Possible patterns of social effects and societal vulnerabilities which would result from nuclear attack on the United States are surveyed through analyses of the social sciences. The analyses are centered on the various ways in which social structure and social institutions may be considered to be vulnerable to nuclear attack. A monograph is presented on the general problems of societal analysis posed by attempts to study the vulnerabilities of social structure to nuclear attack. The central theme is that levels of behavioral ordering beyond the individual — particularly social institutional and social organizational processes — set the dimensions for the social effects of attack. Five essays report on particular domains of social effects which may result from nuclear attack and on particular methodological problems which must be solved in the study of social effects. Topics considered include individual- human and social psychological dimensions of nuclear attack, demographic effects and population recovery problems, economic recovery after nuclear war, political-administrative dimensions of nuclear attack, and the use of especially the comparative method of social analysis as a tool for developing knowledge about societal vulnerability. A number of ways are traced in which the social dimensions and domains of nuclear attack indicate problems for planners and administrators. The fundamental problem of social planning to reduce societal vulnerability is to understand and control the unfolding of what can be conceived as characteristic, time-dependent, sequentially ordered progressions of social attack effects. The Warsaw Pact Short-Warning Nuclear Attack: How Viable an Option? 1979 [58 Pages, 3.31MB] – NATO bases its theater doctrine on the assumptions that any Warsaw Pact attack will be preceeded by considerable warning time and that initial hostilities will be in a conventional mode. In this paper the author assesses the viability of the opposing scenario: a Warsaw Pact short-warning attack with nuclear weapons employed from the start. The author concludes that Soviet open source documents indicate that NATO is preparing to fight the wrong first battle of the next war.